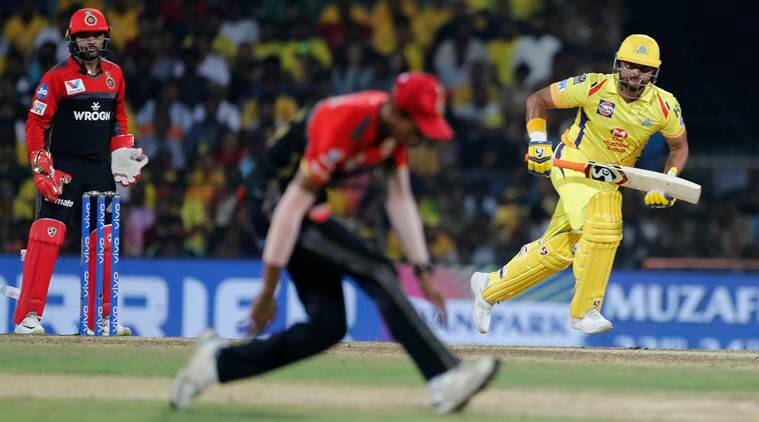 Harbhajan Singh rocked Virat Kohli’s Royal Challengers Bangalore (RCB) in the opening encounter of the Indian Premier League as Chennai Super Kings won the match by seven wickets on Saturday. It was a slow Chepauk turner, where the Turbanator opened the bowling and returned with figures of 3/20 in his four-over spell that deflated RCB completely. Chasing a paltry target of 71, CSK romped home with 14 balls to spare. Toss: MS Dhoni won the toss opted to field first. It was a smart decision by the CSK skipper as he was unaware of the nature of the surface and thereby decided to chase on an unknown strip. His move paid rich dividends as spinners ruled the roost on the rank turner. First innings: Spin was was introduced early inside the powerplay overs in the form of Harbhajan Singh and the move seemed to have an immediate impact as the ball started to grip the surface. While Parthiv Patel negotiated him safely, Kohli fell in the fourth over trying to hoick one over mid-wicket. Moeen Ali and AB De Villiers and followed suit. But the misery for RCB did not stop there as Imran Tahir (3/9 in 3 overs) tormented the batsmen with his leg-breaks to kill the contest in the first half. Ravindra Jadeja also picked 2/15 in his 4 overs. Second innings: To spice things up, RCB needed early wickets. 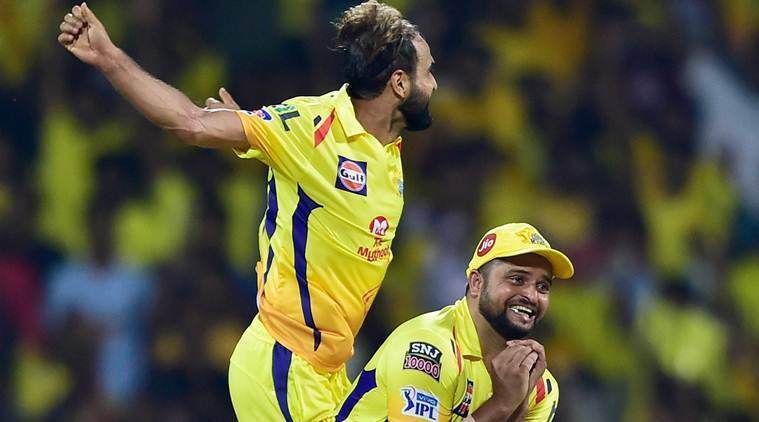 Shane Watson fell early to Yuzvendra Chahal but the other CSK batsmen maintained their composure and took it one ball at a time. Amabti Rayudu scored 28 off 42 balls, while Suresh Raina hit 19. However, he did reach the milestone of 5000 runs in IPL to become the first player in the tournament’s history to achieve the feat. After their departure, Jadeja and Kedar Jadhav took CSK home. Gamechanger: It was Harbhajan Singh’s spell which turned things on its head. His three wickets inside the powerplay overs put RCB on the backfoot from the start and it was a setback from which the team in red could never recover. Having gauged the pace of the pitch, Harbhajan altered the length of his deliveries effectively and also reduced the pace to trouble the batsmen. As the ball turned and bounced doubts crept into the batsmen’s mind. Shortening the length helped the off-spinner pick up the wickets of Kohli and ABD, both of whom were holed out in the deep. Moeen Ali tried to hit out but his wicket put RCB in the dumps even before halfway stage. Scorecard: RCB 70 in 17.1 overs (Parthiv Patel 29 off 35 balls, Harbhajan Singh 3/15, Imran Tahir 3/9). CSK 71/3 in 17.4 overs (Ambati Rayudu 28 off 41 balls).